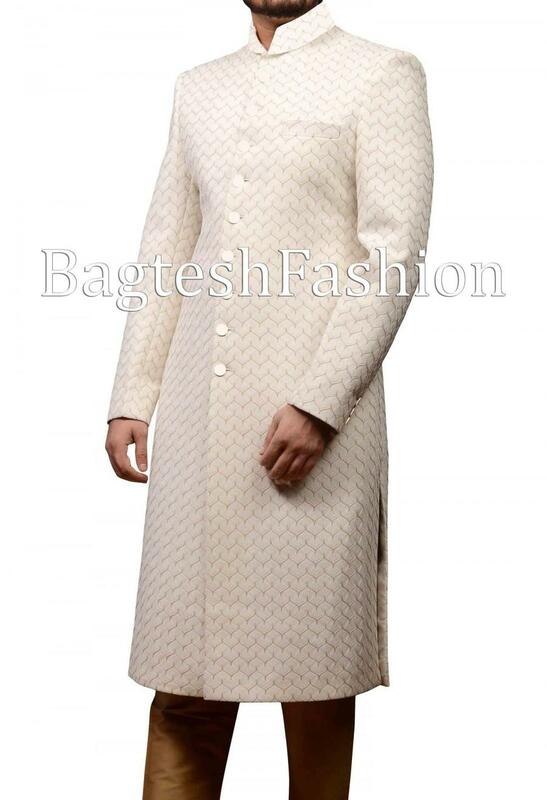 Mens wedding sherwani made in off white color important fabric. Comes with matching Churidar in golden color silk fabric. Dryclean only. Size Available : 38, 40, 42, 44, 46, 48 And Custom Made (For custom made:- we will send you a measurement form after received your order. ).